Rolex has announced at Baselworld 2015 that it will introduce the Cellini Time, a new addition to its line-up for the year. The new 39 mm watch will contain an in-house self-winding mechanical movement that runs at a frequency of 28,800 beats/hour (4 Hz) and has 31 jewels. It will include hours, minutes and seconds functions. It is available in a variety of versions. 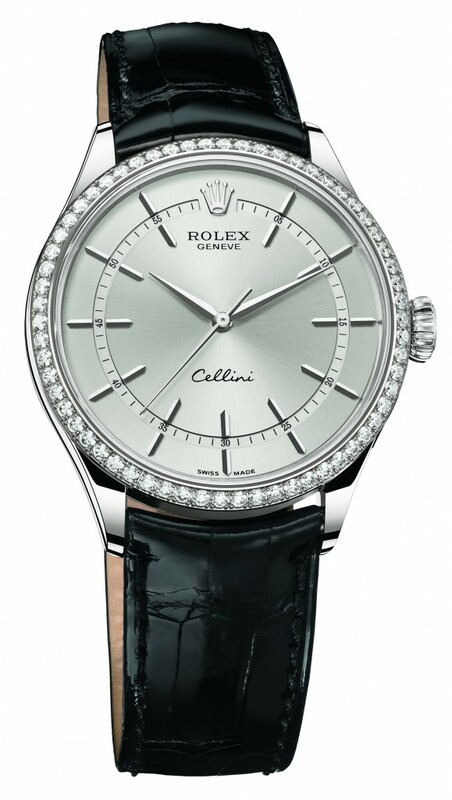 The gem-set Cellini Time models are available in 18 carat white or Everose gold and a single or double bezel set with diamonds. 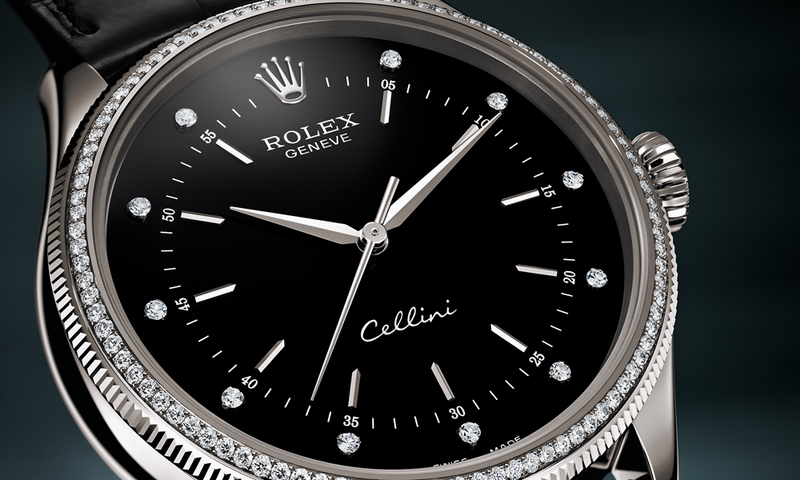 The double bezel models contain a total of 96 diamonds and a black lacquered dial that is accentuated by 11 diamonds at the tip of the hour markers. 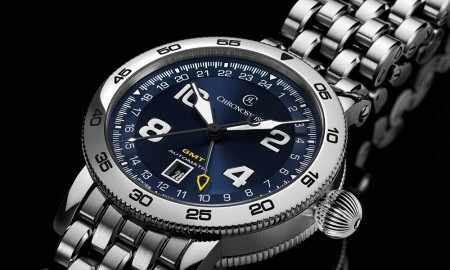 The versions with a single bezel boast a total of 62 diamonds and feature pink or rhodium dials with a sunray finish and elongated applique hour markers. Each timepiece is supplied on a semi-matt black leather alligator strap and is water resistant up to a pressure of 6 bar (50 meters / 164 feet). The chronometer, which has been officially certified by the Swiss Official Chronometer Testing Institute (COSC), has a minimum power reserve of 48 hours.